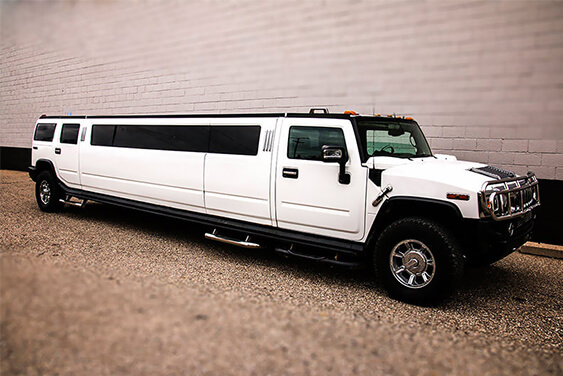 Our white 18 passenger H2 Hummer limousine is the epitome of class. It is popular for weddings, proms, bachelor parties, and much more! 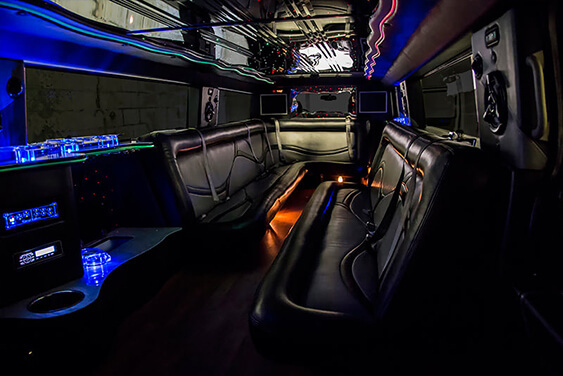 The cozy leather seats will keep you comfortable all night long. Keep your drinks cool in the wet bar with ice-filled coolers. Combine those amenities with the color changing lights and state of the art sound system, and you have the perfect environment for a party! 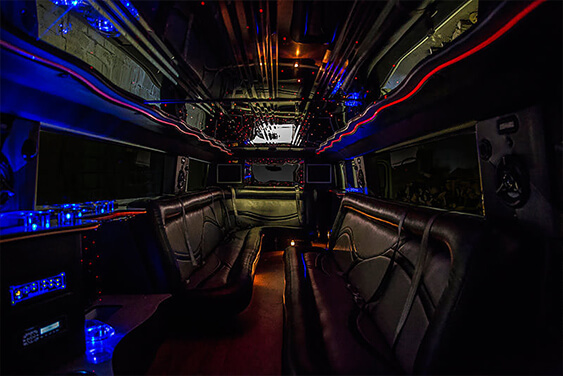 Find out how to book this limo by calling us today.